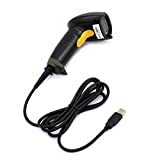 NYEAR Handheld Wireless 2 in 1 Bluetooth 4.0 & USB Barcode Scanner is currently selling at $49.99, approximately $0.05 higher than average. With a lowest price of $16.99 and an average of $49.94 it is selling on the high end of its usual range. Price volatility is 0.59% (meaning it does not change often), so you might have to wait a while for the price to drop. Right now this product is a recommended 'ok deal'. 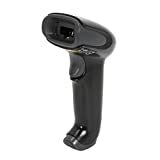 Compare the current price, savings (in dollars & percent) and Buy Ratings for the top Barcode Scanners that are closely related to NYEAR Handheld Wireless 2 in 1 Bluetooth 4.0 & USB Barcode Scanner. 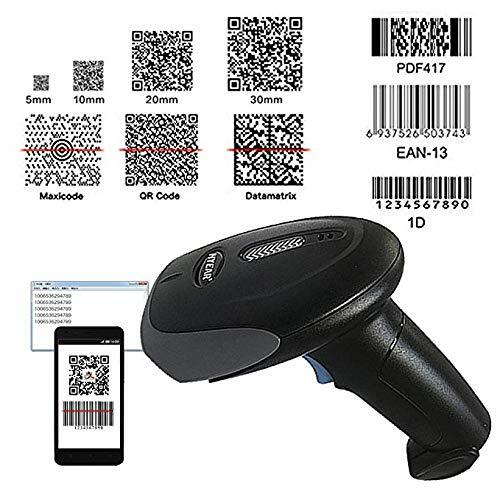 Here is how NYEAR Handheld Wireless 2 in 1 Bluetooth 4.0 & USB Barcode Scanner compares with other leading Barcode Scanners. Note 1.year warranty, we will always be here and provide you with one hundred percent warranty and after-sales service 2.Exclusive patented technology, our front-end scanner to take En Ye high-speed precision preamplifier, internal DSP digital filtering, which can reduce the failure rate of the product, doubling the reliability of the product, the consistency of our scanner on the strong Light, dark light, broken bar code can be stable, accurate, good reading 3.Scanning speed, standby time up to 30 days 4.instructions and settings bar code and other function in the APP 5.APP built-in scanner instructions and bar code settings In the APP, the customer open the phone you can always see the scanner settings and instructions. Performance Characteristics: Light Source 617nm LED (aimer),6500K LEDs (Illumination) Image Sensor 640 * 480 CMOS Processor ARM32-bit Resolution ? 5mil/0.127mm@PCS90% Print Contrast 25% PCS Read Angle Test Conditions: CODE39, 10mil/0.25mm, PCS90% Tilt Pitch: ±65 ° Rotate Roll: 0-360 ° Skew skew: ±60 ° Prompt way sounder, LED indicator Scan mode button trigger, command trigger, trigger sensor Power adapter output: DC5V, 1A Input: AC100 ~ 240V, 50 ~ 60Hz (optional) Current 3.3V DC ± 5% @ 120mA (operation), 50mA (standby) Movement tolerance 23.5CM/S Ambient light resistance Normal indoor light source direct Supports Barcode Type 1D: Codabar, CODE11, CODE 39, CODE 93, UPC / EAN, CODE 128 / EAN 128, Interleaved 2 of 5, Matrix 2 of 5, MSI, Standard 2 of 5,etc. 2D: QR Code, PDF 417, Data Matrix, etc. You can download User Manual at: www.nyear.net Package Included: 1 x 1D 2D Barcode Scanner. 1 x USB Cable. 1 x Bluetooth USB Adapter 1 x English User Manual 1 x 2.4G Wireless Dongle 1 x Android USB OTG Features?Wired & wireless and 1D & 2D PTF 417 ?Wired and wireless two in one with USB bluetooth for Computer android iPhone iPad windows. Designed for intensive scanning of paper and electronic (mobile phone) 1D/2D bar codes?Solid and practical?Full quakeproof , water splash-proof, dustproof,antiknock design and EMI shielding. ?Super long use time ?Precise reading?More than three times longer life than a normal scanner?Reflective code, damaged code, twisted code can be identified?Our scanning gun sampling took NYEAR's high-speed precision preamplifier? displays---Scan virtually any bar code on any medium; supports the technology your customers are embracing - electronic bar codes1D,Codabar, CODE11, CODE 39, CODE 93, UPC/EAN, CODE 128/EAN 128, Interleaved 2 of 5?Matrix 2 of 5? MSI, Standard 2 of 5 etc, 2D:QR Code,PDF 417, Data Matrix, etc. ?Mass offline Storage?Built-in 16MB high-capacity memory, support 1000,000 QR Code offline storage.